Let’s be honest — nobody likes doing taxes. If we could all live in a forest in perfect harmony with all of our needs met…well…that’s really a pipe dream. There’s no way to get rid of taxes or to avoid them. If you’re in the US right now, you’re going to be paying US taxes here in a few months. This means that instead of trying to escape taxes, you need to make sure that you handle them properly. What happens when you skip over taxes? Penalties. Lots of penalties. If the IRS feels that you’ve underreported income, they’re going to nail you. Hard. So, what about those sources of income that we skip over? You might want to include those just to make sure that you’ve covered all of your bases. While it’s highly unlikely that you would get audited over these things, why take the chance if you honestly don’t have to? Think barter is safe from the taxman? Think again. If you perform a service or even give goods to someone in exchange for something else of value — as part of your living…that’s taxable. 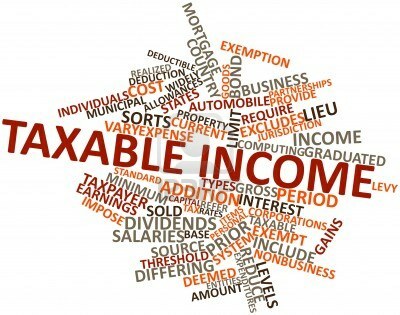 The value of the goods or services that you get are considered taxable income. So if you are a professional plumber and you make a quick barter with your neighbor who sells chickens so you can have a little extra meat in the pot, you will have to consider the value of the chickens received. That has to be included in your business income. Yet if you are a plumber and you just trade lawn care services in exchange for say, a big wedding cake — this is not taxable as long as you aren’t a landscaping professional in your primary profession, and the person that’s helping you out isn’t a professional baker or caterer. Who doesn’t love a good home party like what happens with Avon, Mary Kay, Home Interiors or the Pampered Chef? You’ll find that those host gifts aren’t overlooked — the IRS thinks they are taxable income, so therefore it is. Here’s a hint — the IRS is going to start looking at those delicious little sales transactions on PayPal and eBay. They want to really capture that tax revenue, and it is technically income. You’re selling your unwanted items. Keep in mind that this is in line with businesses reselling items on online sites. If you are selling just personal items, this is usually not as big of a deal. Any service that you provide for a fee is taxable income — no ifs, ands, or buts about it. Even if you do not receive a 1099 form for it, you still need to report it. Now, will you always remember this? Probably not. Should you? Yes. This was a new one for us. If you get property that’s been abandoned by someone else and you didn’t pay anything for it — you have to include the value in your taxable income. This is more the case with abandoned land, but you still want to play it safe when it comes to valuable items. We hope that these tips have been useful — sound off in the comments!